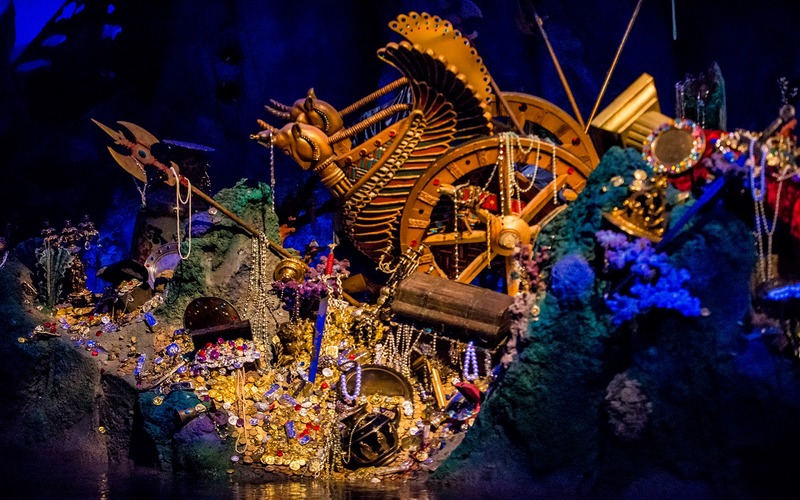 Shanghai Disneyland's Pirates of the Caribbean: Battle for the Sunken Treasure is a spectacular and state-of-the-art dark ride attraction that combines practical sets with immersive 3D projection mapping technology, and it is absolutely beautiful. 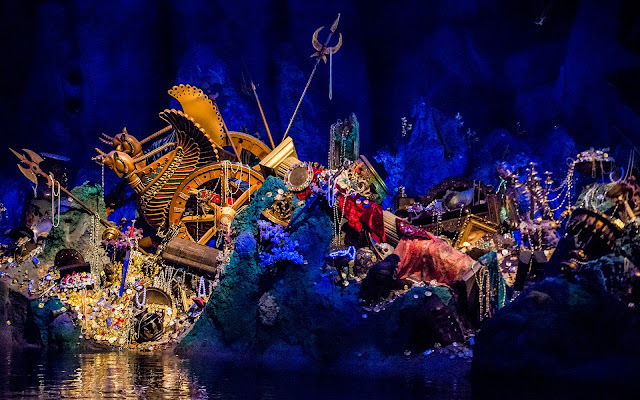 But while the video effects bring a great dynamic vibe to the ride, the traditional physical sets are still absolutely wonderful. As guests sail through the caverns, they find plenty of visual eye candy grounded in constructed objects. 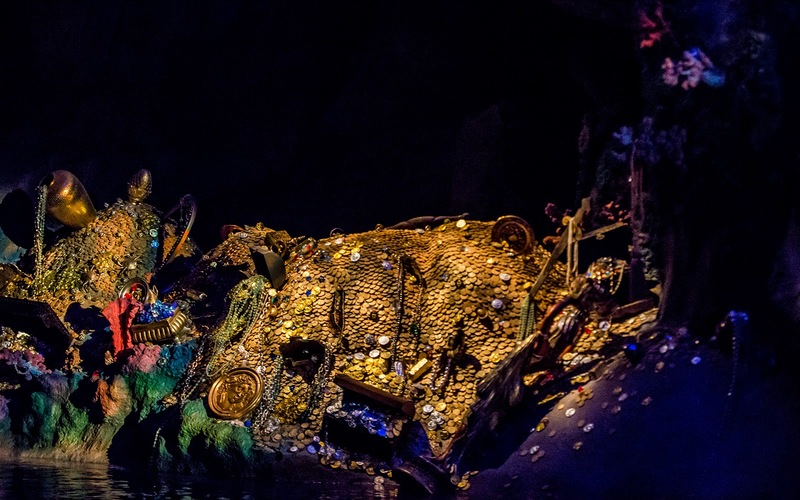 The cave of treasures is one such scene, clearly calling back to similar scenes in the traditional Pirates attractions at the other parks. It's shiny, golden, and glittery. What a sight!